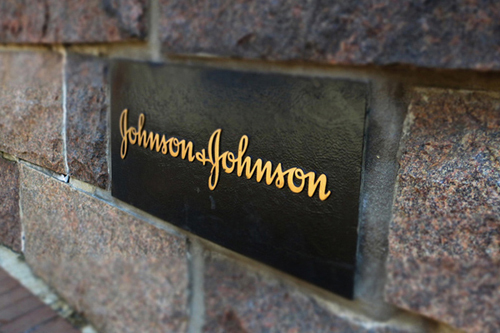 Johnson & Johnson could be just weeks away from approval of the first new drug class for depression in decades, giving a new option for patients with severe, treatment-resistant symptoms. The nasal spray formulation of esketamine – a derivative of the anaesthetic ketamine that has the proposed name Spravato – was backed by a 14-2 vote by an FDA advisory committee yesterday as an add-on therapy to orally-administered antidepressants in people with major depressive disorder (MDD) who don’t respond to oral drugs alone. The positive recommendation wasn’t a given, as J&J’s pivotal clinical trials in support of the marketing application generated mixed results. One study in adults showed it was more effective than placebo in reducing symptoms of depression, but another in people aged over 65 only showed a trend towards improvement that didn’t reach statistical significance. Ordinarily that would not be enough to support approval, but the FDA said in briefing documents published ahead of the meeting it considered a third withdrawal ‘maintenance of effect’ study to be supportive, even though only the lower of the two doses tested showed a significant benefit. This is the first time that this type of study has underpinned approval of a new antidepressant. The FDA’s willingness to accept a lower level of efficacy evidence likely stems from the pressing need for additional treatment options for treatment-resistant MDD, which is associated with a higher risk of self-harm and suicide. The agency has awarded J&J two breakthrough designations for esketamine, one for treatment-resistant depression and the other for MDD with an imminent risk of suicide. Esketamine is a glutamate NMDA receptor modulator, and is of particular interest to clinicians because it starts to work much more quickly than current antidepressants. If the FDA follows its panel’s advice and approves the drug, it will be the first novel antidepressant to reach the US market since Prozac in 1987. The regulator is due to deliver a verdict in March, and the drug is also under review in Europe having been filed with the EMA last October. One of the big questions for the FDA panel was whether J&J would be able to mitigate concerns that the drug activates opioid receptors in the brain and so could have potential for abuse, like its parent drug ketamine. On balance, they agreed that the risk of this was reasonably low, and were also persuaded by J&J’s risk evaluation and mitigation strategy (REMS) for the drug which involves administration only in certain healthcare settings where patients can be supervised for at least two hours. The proposed dosing schedule is twice a week for the first month, followed by weekly or two-weekly doses as required. With just one other approved treatment for treatment-resistant in the US – Lilly’s Symbyax combination of olanzapine and Prozac active ingredient fluoxetine which was approved in 2009 – J&J has high hopes for esketamine if approved. It has listed the drug as a potential $1bn product, although Evaluate analysts are a bit more conservative, predicting annual revenues of $490m by 2020. Allergan also has a contender in phase 3 trials, rapastinel, that could be free of the dependency risk of J&J’s drug but is roughly a year behind in development.